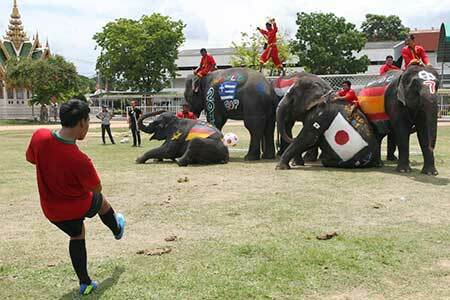 Countries across the world are busy with pre-World Cup celebrations and in Thailand they have a particularly novel way of preparing for the tournament. 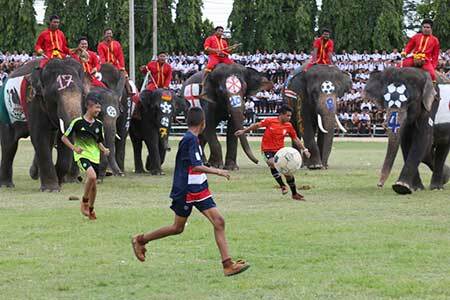 Earlier this week the “Elephant World Cup” took place with elephants each painted to represent a different nation showing off their ball skills. 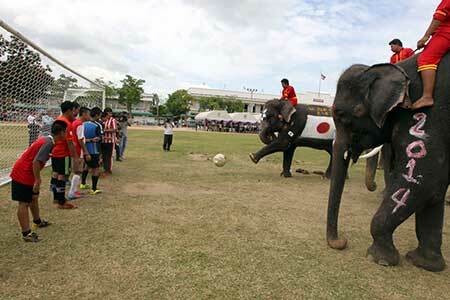 There was some initial confusion with one elephant picking up the ball with its trunk. 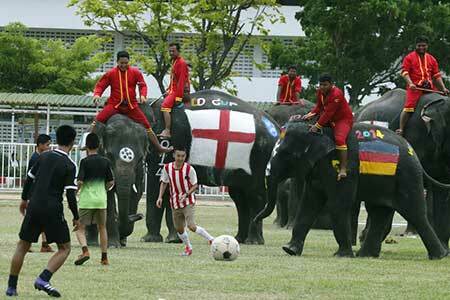 But considering there were seven footballers in goal to defend against an elephant free kick, the normal rules were clearly not a priority. 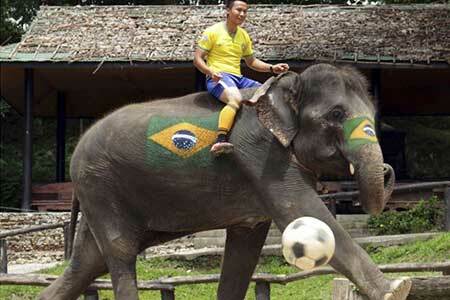 The match was held as part of a campaign to discourage gambling during the World Cup. 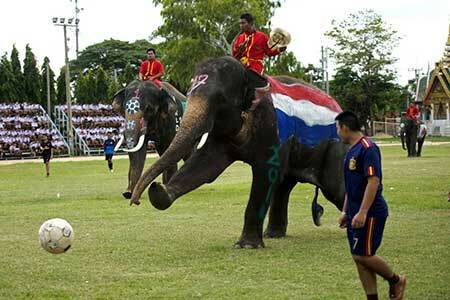 However, it came alongside criticism for the way in which elephants are treated in Thailand. 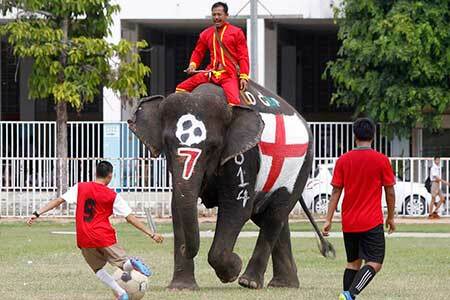 It is common practice to cage and bind elephants in order to train them to perform. 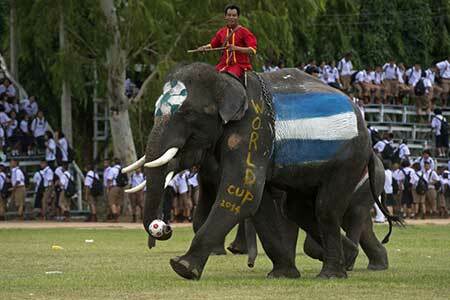 There have also been reports of beatings with sticks, chains and metal hooks. 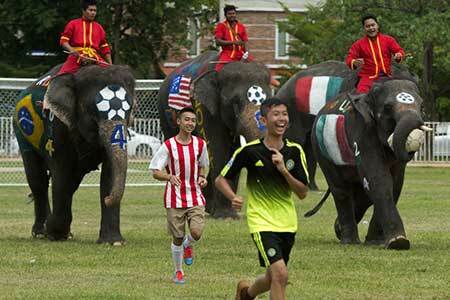 As a further part of the campaign to discourage gambling, Thailand set up the World Cup 2014 Gambling Prevention & Suppression Center. 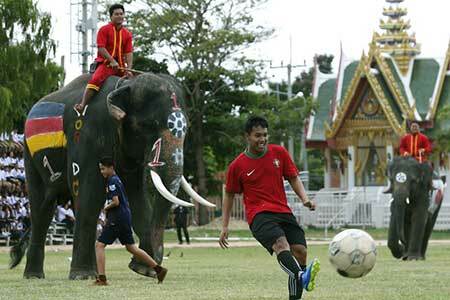 The center will be closely monitoring online gambling and prosecuting anyone gambling in excess of 10 million baht or involved in an operation with more than 100 bettors.